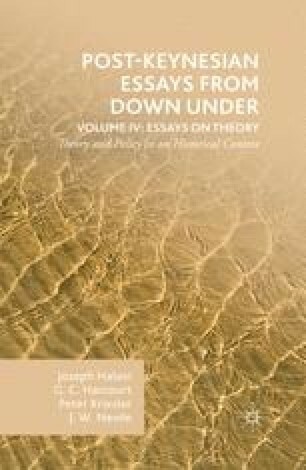 This chapter argues that Hicks’s Capital and Growth, and its rewritten version Methods of Dynamic Economics, constitute a critique of both Neo-classical and Classical economics. The critique of the Neo-classical side is explicit: it appears in the series of explanations concerning the necessity to abandon the Temporary Equilibrium method of Value and Capital. Furthermore, the way in which Hicks argues against the assumption of a given aggregate saving ratio takes him straight into the Kaldor-Pasinetti Cambridge Equation. Having jettisoned both the Temporary Equilibrium and the Harrod type Fixprice methods, Hicks ends up with Sraffa type prices of production. By inserting those prices into the saving equation he obtains a model where any change in the natural growth rate implies a change in the distribution of income à la Kaldor with the underlying prices being determined à la Sraffa.